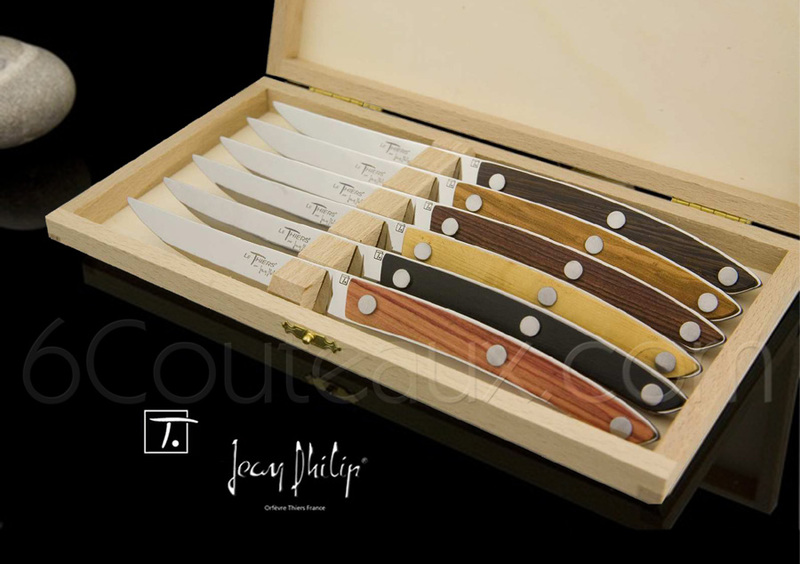 Manufacturer and designer since 1924, John Philip combines tradition and modernity for decoration of the table, excellence and expertise are the rules of the goldsmith who presents his vision of the " Thiers ” WOODEN series: with elegant lines, fine and attractive symbolize this knife with a unique design that sublimate your best tables. 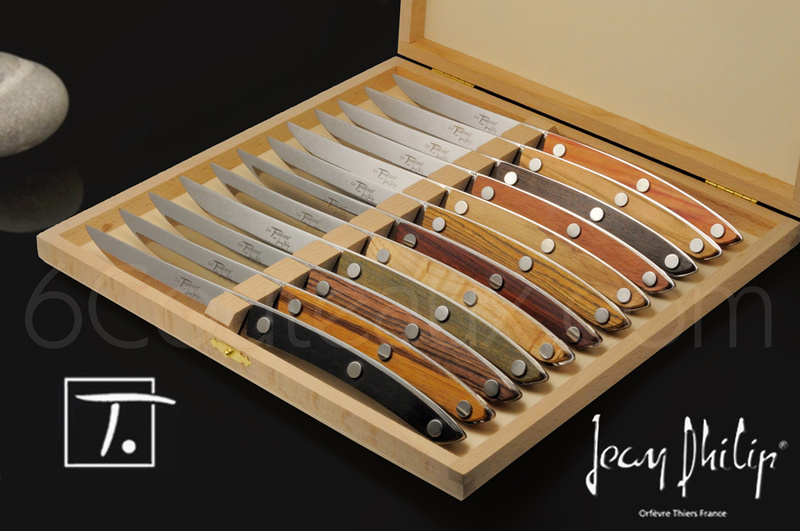 Buy a minimum of 6 knives and the woodden box for 6 or 12 knives will be added as gift ! 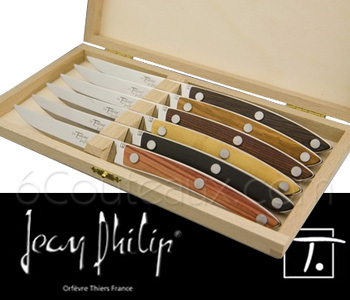 Born of the reflection of an entire profession, "Le Thiers" bears the name of his city, the capital of French cutlery. This knife is harmonious lines subject to a Jurandi based on tradition cutlery Thiernois Basin, the charter consists of manufacturing quality and territoriality at every stage of product realization. The board then valid authorization for use of name and form, which each cutler apply its know-how. Finally, teachers visitors are empowered to monitor compliance with these rules from the manufacturer, which is a guarantee of quality for "The Thiers and certify an authentic French manufacture.